*Mai Couture Highlighter Papier -25 sheets ($28 -does not say how many you get for $28, so not positive that this is full size, but it seems like it). Initial Thoughts: Merry Christmas to me! I swear that Ipsy gets better every month. I LOVE everything in this bag. It's no secret that Urban Decay is my favorite brand. I can never have enough 24/7 pencils & I actually did not own a black one before this came. Everything other than the UD eyeliner is full size! The "Hot Mess" lip gloss is very pigmented and brighter than what I would normally wear, but I kind of like it. The whole point in sample bags is to try new things and I never would have bought that color. I'm glad I got it. The Mai Couture Highlighter Papier is really cool. They look like blotting sheets, but contain highlighter. It even has a guide on the back flap with recommendations on where to put it. 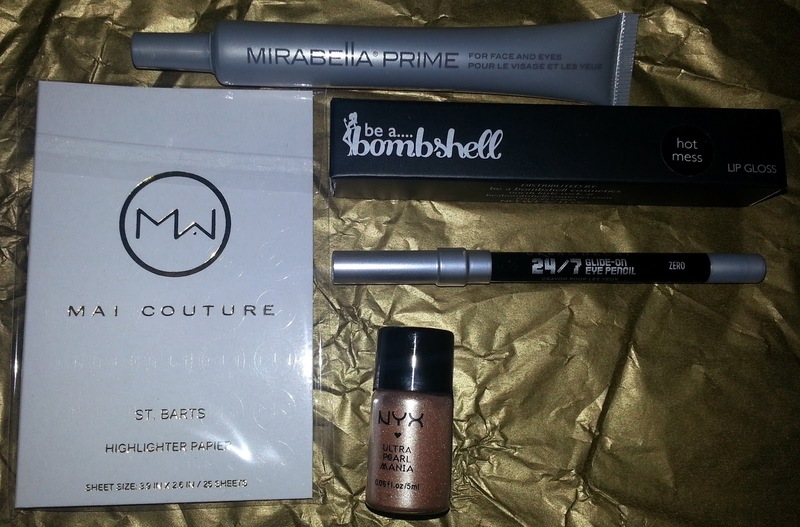 I'm also excited to try the Mirabella primer. I normally use Smashbox BB cream on face, so I don't need a face primer. However, I am willing to try it out. Plus, it works for the eyes too. I use Urban Decay Eye Primer, but I am currently out. Like I said, I love everything in this bag. It is perfect. Thanks Ipsy! 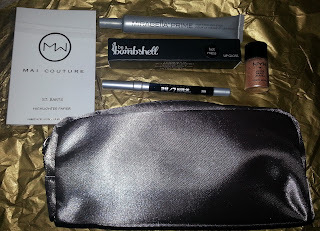 Initial Thoughts: This is the best Birchbox I have had in about 3-4 months. I actually received a full size product AND a Benefit sample. My initial joy was squashed when I opened my eye cream sample and it was almost empty. I emailed Birchbox and they are out of samples for it, but they credited me $10 worth of points. That basically makes this box free and I still get the points from the surveys this month too! Score! I love the lip gloss and the mirror on the side is super useful. The Juicy Couture is garbage. I also won't eat the Fortune Cookie, but I will pass it on to my Mom or Brother. The Keratase won't work for my hair since my hair is normal to oily...definitely not dry. If Birchbox would pay attention to our profiles they would know that. So, basically the only thing in this box I will keep is the lip gloss and my maybe 1-2 time use of the Benefit eye cream. Still worth the $10 and I got a credit. This month's winner: Ipsy. It's always Ipsy. Do I even need to explain? I think not. Seminole Hard Rock Tampa December / January Events, this is a great deal for your money. Thanks for sharing your honest opinion on the products. I am soo happy to see this! 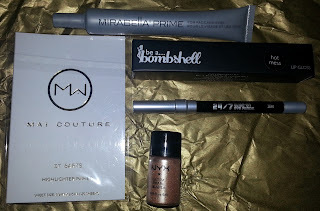 Never heard of Ipsy yet now I will get very familiar. Thanks! i like ipsy a lot better since they give you the full product and it is def. worth the money! I am considering signing up for this one. Thanks so much for the review! Iam not familiar with sample boxes. However, thanks to your post, I will be researching the different types that are available. I think I know several family members that would love these. I think I may sign up for Ipsy. Thank-you! I have heard of Birchbox and was considering it, but thanks to your review I think I will try Ispy.Thank You for the review. So glad I found this review. 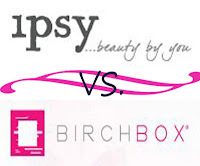 I'm a fan of Birchbox on facebook and have been thinking about ordering it for months. Thank goodness I never did! I've never heard of Ipsy but I now know that I'll order from them. I hardly ever wear makeup so even sample sizes would last me awhile and 10 bucks is less than one stick of eyeliner! Thanks so much for the honesty! Thanks for sharing. This looks like a good deal. I have always wondered what you get for your money in these kinds of boxes. Both seem equally good, but i prefer the Ispy box. It seems like you get way more for your money and more high end products! Very nice! passing this on to my mo and sister. Sample boxes... I don't know, seems a little steep at $120 a year for things you might or can't use. I like trying new things from Harmons because if you don't like the color or something about a product, you can take it back. 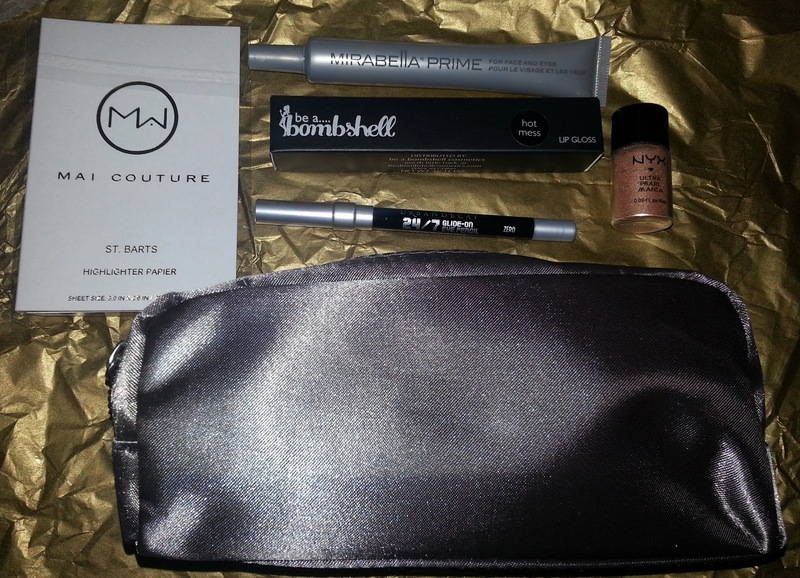 Thanks for the review, the Ipsy definatetly seems far superior. I;ve never heard of paid sample boxes. I agree with an earlier poster that $120 a year is a little steep, even for lots of samples, since there will likely be some you just would not use. 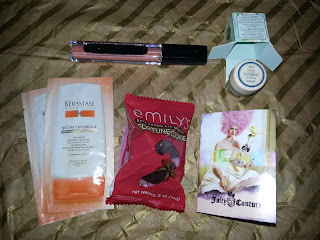 I like the Ipsy one too, looks like you got some nice stuff! Man, that Ipsy one is awesome! And a great price,too! I used to get the Beauty Tube from New Beauty. They are pricey, but their products are totally worth it.